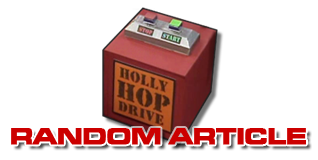 The much-demanded Red Dwarf DVDs officially enter development. Well, it's been erroneously rumoured for what seems like years, it's been hotly demanded by fans across the net as well as in the DVD press, and it's even been discussed in the most recent season of Buffy the Vampire Slayer - but, finally, here is the news you've been slavering for. "Because the Red Dwarf movie's happening at the moment, we thought now would be an ideal time - with lots of cast members, writers and production team around and about - to get bonus footage, commentaries and interviews in the can." Fans will no doubt be interested to learn that the episodes will be released in their original, unremastered versions. "Two discs per series. Six episodes, with commentaries, on disc one - keep the bit-rate high, keep the quality good - and the bonus disc, on a season by season basis, could [have] anything up to 120 minutes of extras." What can we expect from the bonus features? "Nothing is locked down - we've got eight series to do! There will be photo galleries, outtakes, deleted scenes, filmed interviews - everything you could imagine would go onto a Hollywood motion picture [DVD] and more! We'll be doing a commentary track with the cast, and a separate commentary track with Doug and - hopefully - Rob, directors and other crew members." So why has it taken so long for production of the shiny discs to begin? "It's not that we were trying to disappoint the fans - rather the opposite, we wanted to make sure we got the best product possible out on the market. A few years ago, when Worldwide first dipped its toe in the waters of DVD, we had no experience. It was actually the first DVD we thought of doing, [but] we probably hadn't quite got our heads around how good DVD could be. Now we've won many awards - for things like Blue Planet and The League of Gentlemen - we know what we're doing." This news comes as a huge relief to those whose email boxes have been filled with requests from fans. 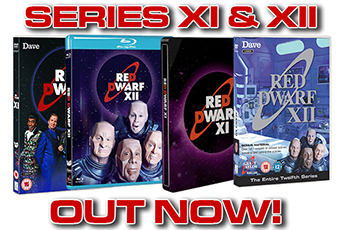 "It has been the most frequently asked question - 'when is Red Dwarf coming out on DVD?' I've had to be honest and say, 'I don't know'... and now I can say I do know." 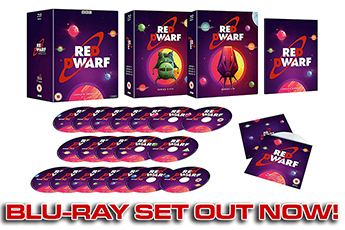 You'll be able to follow the development of the DVDs in the news and Down Time sections of reddwarf.co.uk.